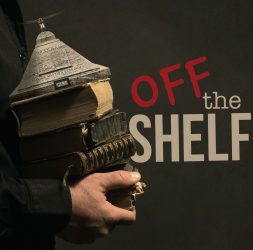 This is the second part of a 3 part series focused on introducing the co-hosts of the Off The Shelf podcast. 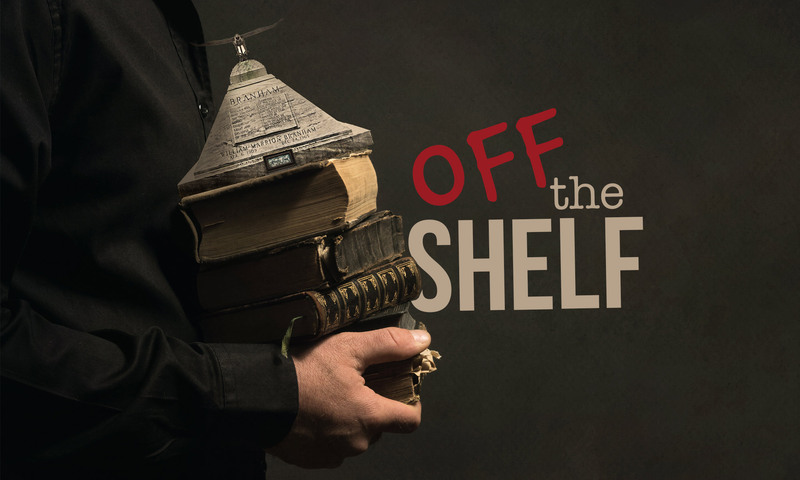 In this episode, Bryan Lynch interviews Rod Bergen about how he came into the message; what led him to leave the message after spending almost 40 years following William Branham; and his current perspective on the message and those still following the message. Great job Gentleman. Thanks for this venue. Great podcast! Enlightening and edifying! Having a weakness in my own personality that caused me (like many others) to be attracted to the “bright shiny stuff”,(teachings appealing to my pride, false supernatural events, and the “us against them ” mentality), kept ME on the path of blindness about what the Bible really says . So thankful for the Lord’s grace that moved me out of the spiritual darkness I was in all these years to a knowledge that is based on Scripture…not on a “book or tape”. The tyranny of special revelation has a long and unfortunate history in the church. People love to use it as a club on others. “Revelation” should always lead to love. One should always beware of those teachers or systems that entice one by special revelation or “deeper insights.” The appeal of the “bright shiny stuff” is invariably to one’s pride, not to one’s becoming a more truly loving Christian. You guys are amazing! Thanks for all your efforts. This is going to be very fruitful I believe. Thanks, Josh! I think the upcoming episodes will be even better. Thanks, Benson! We are glad you are enjoying the podcasts. Your testimony is wonderful. I too set out to prove WB and the message accurate and truthful only to discover many heartaches and disappointments. My whole world imploded even though I had questions for many years. I, like yourself, put those unanswered questions on the shelf until the shelf collapsed by the weight of contradictions and discrepancies. Thank you for your work and may the Lord bless you. I HAVE BEEN A BELIEVER FOR OVER 32 YEARS AND ALL MY QUESTIONS HAVE BEEN ANSWERED . IF THE 70 WHO WENT BACK IN THE DAYS OF OUR LORD JESUS CHRIST COULD HAVE STAYED LONG ENOUGH GOD WOULD HAVE REVEALED TO THEM WHAT HE MEANT BY “EATING HIS FLESH”. I AM IMAGINING THEY WENT BACK QUOTING THE BIBLE WHICH WAS UP TO MALACHI – MOSES DID NOT PERMIT US TO EAT THE FLESH OF SOME ANIMALS – HOW CAN WE EAT THE FLESH OF A HUMAN BEING – IT WAS A HARD SAYING. IT SURE IS A HARD SAYING TODAY. AT LEAST NOW WE HAVE THE RIGHT PASTOR AT BCF WHO HAS RIGHTFULLY PLACED THE CLOUD WHERE IT BELONGED AND CAN FEED THE SHEEP THE RIGHT FOOD. We left because of sin in the church. And you have listened in rapt attention to a man that would have gone to prison for his crimes if he lived in your country. But perhaps, like most ministers in the message, you are oK with ministers that cover up the sexual abuse of a minor. We aren’t!